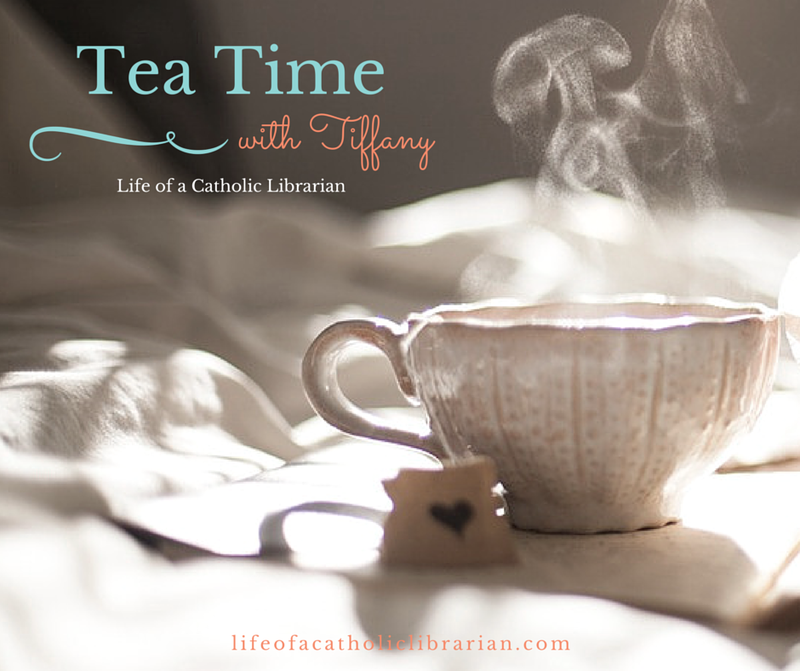 Life of a Catholic Librarian: Tea Time with Tiffany #23: Getting involved in new creative enterprises! Tea Time with Tiffany #23: Getting involved in new creative enterprises! I had a Worship Committee meeting this week, so I was thinking about parish involvement, but I widened the scope to include "getting involved and putting yourself out there!" generally. :) It's a pleasant, positive topic, especially for us introverts who sometimes need that extra encouragement to try new things, and I chat about a bunch of new and interesting things on the horizon. Getting and staying motivated to get involved in new things. Case in point: my parish Worship Committee. 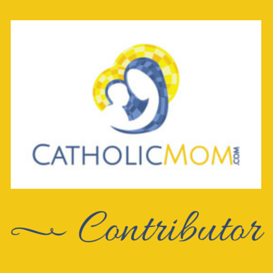 Upcoming and fun new projects right here with your Catholic Librarian. Stayed tuned for details! I was on a stand as to whether to comment about this post or not - obvs what my decision was:) I must give you much credit for joining the worship committee. In all of the parishes I have attended as an adult, I have known people who have been long time attendees, and have been regaled with tales of the "politics" (for lack of a better term) that seems to revolve around volunteer activities at parishes. Which is not to say that I think that anyone is actually trying to be malicious per se, its just remarkable how sensitive people can sometimes be about anything that touches on parish life. I wish you well in your efforts. Hi Amy, definitely. :) It seems like church-related groups/committees do bring out a certain opinionated side of people. ;-) So far so decent, over here, but I saw a few claws come out at our October meeting over Mass times. Yikes! Getting new people involved in a parish is always a challenge. As the parish liturgist I kind of lead the prayer and worship committee and it seems like we talk every month about how do we encourage new volunteers to step forward. It really comes down to them overcoming their fear about it (fear of making a mistake in front of everyone, etc). Of course this can be quickly overcome by just doing it once or twice and getting more comfortable. Our parish director made the observation that each of the directors of ministry (who make up the committee) have already encompassed fully engaging in the liturgy by taking on an active role. So it's our challenge to get the congregation to understand how important this is and how to "step up their game" in a matter of speaking. If they really understood what "full and active participation" meant, then taking on those more active roles wouldn't be so challenging. Personal invitation and encouragement goes so far. With our new leadership, I think we're on the right track and hopefully we can continue that. Hi Stephanie! Great points. :) And you have a wonderful perspective, given your position within your parish. Thank you so much! I love your words about personal invitation and encouragement. YES. I completely agree. I think for many people, they consider full participation to be simply going to Mass, but there is so much more available to them, I think that they just don't realize it.